Keurig and Green Mountain Coffee. Since 1998, they have brought quality coffee to a single cup without having to grind beans, measure coffee, handle filters or clean up. Press a couple buttons and voila! 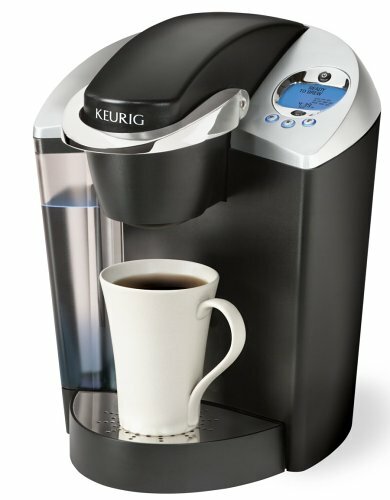 You can find the Keurig in plenty of homes as well as office break rooms. As the organization evolved, its product line expanded to tea and hot cocoa. Now Keurig is about to go where no one thought they could go! Campbell Soup in a Keurig! In Forbes, “Soup From A Coffeemaker, Anyone? Green Mountain Will Start Selling Campbell Soup K-Cups” on September 4, 2013, we learn that chicken, dry pasta and vegetables will now be coming through your Keurig. Campbell’s creative approach with Keurig shows their product, n ormally sold through a can in a grocery store, can be delivered to a new set of customers in an unlikely place. Wow! Innovation and chicken noodle soup in the same sentence!? LinkedIn – Did you know that only 50% of LinkedIn users have a complete profile? The more information you provide in your profile, the easier it becomes for talent acquisition professionals to find you. Twitter – Are you following people and organizations that relate to your areas of interest and expertise? This could provide you an opportunity to engage in a Twitter chat that focuses on your professional world. A great opportunity to show subject matter expertise! Webinars on Youtube – A great way to display your knowledge to broad group of people. Look for professional or alumni associations to see if you can deliver a webinar to showcase your talents and then upload it to youtube.